Arrive Early – From difficult airport parking to crowded check-in lines to long security checkpoints, it’s important that you arrive to the airport early. Unless you’re traveling over a holiday weekend, you can’t really anticipate how crowded the airport will be. It’s recommended to arrive 2 hours before a domestic flight and 3 hours before an international flight. Arriving early will make the travel experience less stressful and give you time to grab a bite to eat before you board. Check-in online – Most airlines let you check-in online within 24 hours of your departure time. By checking in online you can save yourself some time at the airport. Online check-in also gives you the option to pick your seat. If you’re traveling on a budget airline like Frontier Airlines or Spirit Airlines, you cannot expect to be seated next to your family or friends unless you book a particular seat. Know what you’re allowed to bring – Along with the obvious items like knives and razors, you are not allowed to bring liquids or gels on board unless they satisfy the size require. You are allowed to carry travel-size liquids and gels that are 3 ounces or less and fit comfortably in one quartz size zip-lock bag. You are only permitted one bag per passenger, and it must be placed in the screening bin at security. Pack important documents – Before you leave for the airport, don’t forget to bring your essential travel documents and license or passport if you are traveling internationally. In case your license or passport gets lost or stolen on your trip, it’s a smart idea to make a paper and electronic copy. Also make copies of your travel documents, including your hotel information and travel itinerary, and store them in your carry-on bag. 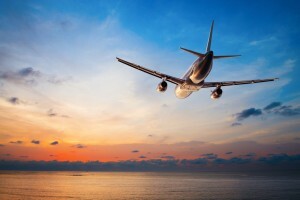 Previous Article← Where Should You Vacation This Summer?